National guidelines to help diagnose people with autism have been drafted for the first time in Australia by a team of experts. The guidelines are the culmination of a year of research, and are designed to overcome the wide variation in diagnosis methods used between states and territories. There are hopes the new assessment criteria could help thousands of people on the autism spectrum, but who are falling through the cracks in the health, education and disability sectors. Professor Andrew Whitehouse, who was part of the team that developed the national guidelines, said they would add much needed consistency across Australia. 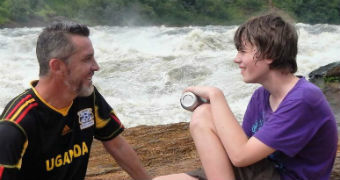 A Sydney father says taking his 14-year-old son with autism on a six-month African backpacking journey has challenged conventional wisdom and had "ground-breaking" results. "Each state has been essentially having their own way in which autism is assessed," Professor Whitehouse said. "But even within states, it's not uncommon for children to be diagnosed in early life, but when they meet the school system and the education system require a reappraisal to check if this child has autism. "I don't know how we've gotten into this state, but it has to change and that's what we're doing today." Professor Whitehouse said once in force, it will take some time for states with their own entrenched systems to embrace the new guidelines. "It's going to be a challenge because people have been doing their own thing for a long time, and there is always a challenge in that kind of inertia," he said. "What we're looking at here is providing consistency in a diagnosis, and beyond that you get appraised for functional support needs, which is where the NDIS comes in. "It's been a really important aspect of this guideline that there is flexibility in, so the process can be tailored to the individual who is in front of us." Autism educators Katrina Trist and Bernadette Beasley, who both have children on the autism spectrum, said the new guidelines were an important step. They said girls and women in particular were good at masking their symptoms, and often go misdiagnosed with other disorders. Why do women go undiagnosed? 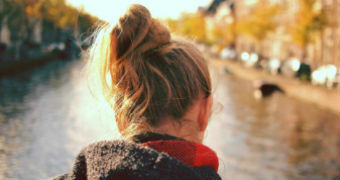 Many women with so-called 'high-functioning' autism are likely being left undiagnosed, a situation which has wide-ranging consequences for their wellbeing. "Girls in general do show a very different profile to boys, and I do believe that's one of the components where they're late in diagnosis," Ms Beasley said. "The girls we work with now, we're picking them up around 10 or 11 with anxiety, depression, self-harm, and we believe this tool will get these girls much earlier. "What's happening now is in school is they hide, they mask their behaviour and people are not picking it up." Ms Beasley said the guidelines would also ease pressure and stress on parents of girls on the autism spectrum in reaching an appropriate diagnosis early. "They go home and explode with anxiety and sensory overload, and their parents are saying 'we know they're on the spectrum but nobody's listening to them'," she said. "They're just being judged as poor parents. We know this is going to make a big difference for women on the spectrum in the future." The guidelines will now go out for consultation for the next six weeks.